One Hassan Joshua, 38, has been sentenced to two months imprisonment in Abuja for criminal breach of trust and cheating, after he was unable to pay back his customer’s N430,000. 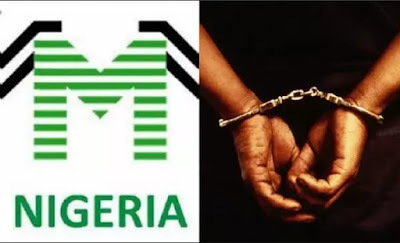 Joshua, a welder, who resides at Nimasa Estate, Gwarimpa, Abuja, said he paid the money into the money doubling scheme, Movrodi Mondial Movement (MMM). The prosecutor, Zannah Dalhatu, had told the court that one Mr. Fagbo Tubosun of Gwarimpa Estate reported the matter at Gwarimpa Police Station on February 7. Dalhatu said the convict was given the money in October 2016 to construct a water tank and doors. “After collecting the money, he refused to do the work and he absconded to an unknown destination,’’ he said.The prosecutor said that during police investigation, Joshua confessed to the crime. The judge, at the Karmo Grade 1 Area Court, Abuja, Alhaji Abubakar Sadiq, however, gave him N10,000 option of fine and warned him to desist from committing crime, the News Agency of Nigeria reports. The judge also ordered the convict to pay N430,000 to the complainant. His offence is punishable under Sections 312 and 322 of the Penal Code.